Valentines day is one of the biggest celebrations of the year, in terms of money spent. £980M goes on gifts for Valentines, with the average spend at £45. So it makes sense to take advantage of the nation’s fever for romantic sentiment in your fundraising plans! 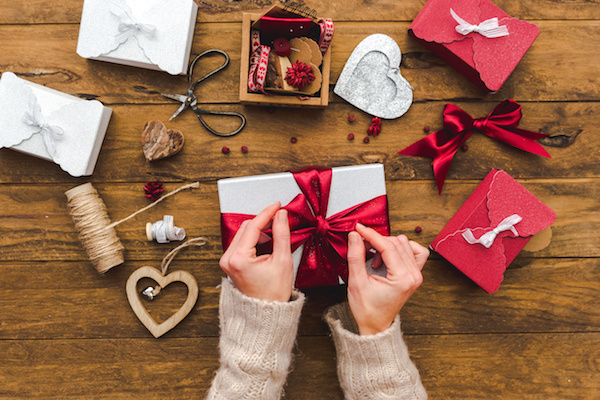 Most people are spending on food and drink, cards and wrapping paper for their Valentine, so this is an area to focus on with your Valentines day fundraising, but anything that appeals to your audience can work, so be as creative as you can. And don’t worry if you’re coming to this late – 40% of gift purchases for loved ones are made at the last minute! Below is a list of universally popular fundraising ideas for Valentines Day, plus some more quirky suggestions for those of you whose cause needs you to think outside of the box! Sell roses – or if that’s not practical for you, put a different spin on the sale: can you sell edible roses in the form of chocolates or cupcakes? Is craft more relevant to your cause? Then make felt roses, or sell children’s rose pictures. You could ask a local florist to design a charity bouquet and take pre-orders in return for a percentage of the profits. Or your team could take orders and and deliver flowers on behalf of your donors. Food/toiletries gift baskets: try dinner for two in a hamper, a gourmet selection of truffles and treats, or create a bath bomb and candles gift. Craft shops often sell ingredients wholesale to make your own baskets. Organise a Valentines Dinner Dance or even a “Love Train” event! People are always looking for a different spin on the usual romantic celebrations, so the more fabulous your idea, the better it will sell! We love these champagne and raspberry possets for dessert. Don’t forget to include a gift auction or a raffle if you’re holding an event – read our full guide to raffles here. Make and Sell Valentines Day cards – we love Stampin’ Up this website for card making ideas. Calligraphy is back in vogue too, and can really add the finishing touches to your cards. Valentines Bakes: the tried and tested bake sale is always a winner, so get creative with heart shaped bakes and pretty cup cake decorations. You could even make a fabulous passion fruit cake and auction it to the highest bidder – guaranteed love will await that person at home! Secret Admirer – particularly fun in high schools or youth groups. Charge people to post a card or small tagged gift to their secret crush and then deliver them before school ends! Maximise the donations by charging the receiver to see the signature of their secret admirer. If your cause doesn’t lend itself to the typical romantic fundraisers, don’t let Valentines Day pass you by. Turn things around, and show your donors and supporters that you love them! 42% of consumers say that special, or personalised treatment would keep them coming back to a shop, so why not think of a way to reward your supporters for their loyalty. A small investment (a thank you card with a packet of Love Hearts) could keep them passionate about supporting your cause! Get cause specific. The best fundraising takes into account your context – there’s a push and a pull. The push: who you are, where you work, where you live, etc. The pull: what you want to achieve. Make these two things work together. For example, if you work in London, have an active social life, and you want to raise money for animals that are treated unfairly, could you convince your boss to let you bring a dog to work for a day? (Make sure it’s friendly, and house trained!). Get someone to knit him a fundraising jumper for added cute appeal. Maybe it could even carry a contactless payment chip so all your office workers have to do is tap to donate. Or maybe you’re raising money for a new playground for your local school. Put posters up all over the local community of a before and after picture, and make it clear that this will only happen if you raise the £5,000 you need. Have a bucket collection, and an online donations mechanism where you can show a fundraising ‘thermometer’ to keep donors up to date on progress. Organise a Valentine’s day run – 5k in a themed costume is both fun, and a challenge your supporters may not be able to resist turning down! Ask a local card retailer to donate a percentage of their profits in February to the cause you love! And if you’re still struggling for Valentines Day fundraising ideas, take inspiration from some of the best! The Dogs Trust Valentines puppies looking for love campaign. Instead of romance, you could make some random acts of kindness that will keep your supporters engaged. What have we missed? Show us what you’ve been up to on Facebook or Twitter. We’d love to share in the passion! How to apply to Trusts and Foundations: A Beginners Guide with free resource template.